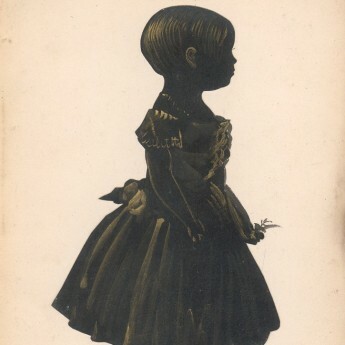 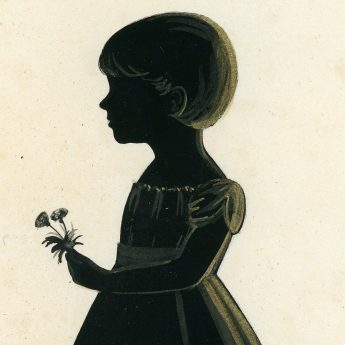 This enchanting silhouette shows a young child in a short-sleeved dress and buckled shoes holding a small spray of flowers. 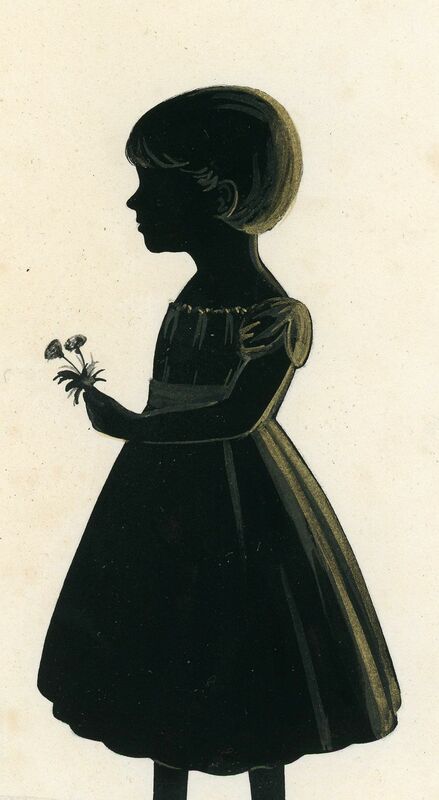 The silhouette is painted and neatly gilded on paper that is partially watermarked ‘WH / 18’. 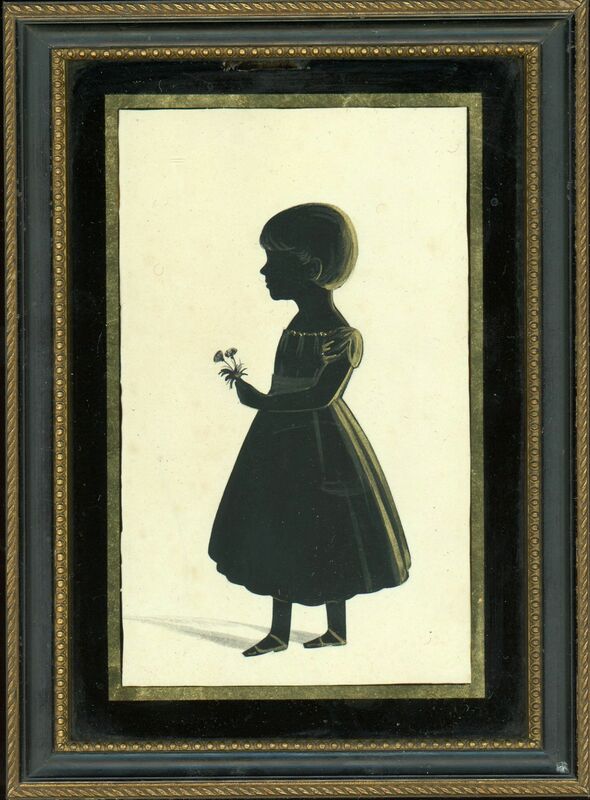 It resides in a Hogarth style frame with a verre eglomise surround. 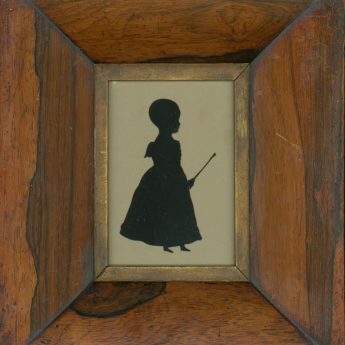 Both the frame and the profile are in very good condition.